Story: Lloyd Irving joins the Chosen Colette on the Journey of World Regeneration, but they learn that there is more to the world than what they originally thought. 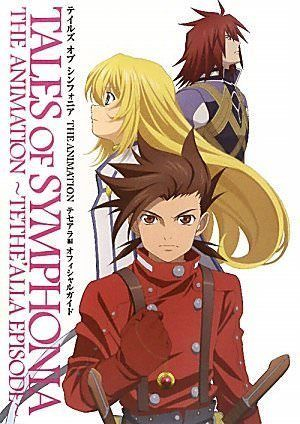 Setting: Tales of Symphonia's world is split in two: Sylvarant and Tethe'alla. This split was orchestrated by Mithos Yggdrasill and is part of a complex system to regulate mana, this world's energy, and prevent the development of technology that would deplete the remaining reserves. Due to this system, one world is declining while the other thrives, and the Chosen's Journey of World Regeneration's actual aim is to reverse the balance, as well as create a vessel for Mithos' death sister Martel. 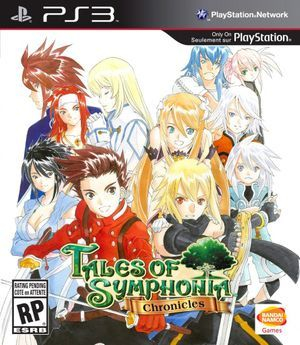 Symphonia has races of humans, elves and half-elves, and discrimination toward the latter heavily influences society in both worlds. Mithos' organization, Cruxis, is behind the Church of Martel, a religion that promotes the Chosen system, and the Desians, an organization of half-elves who terrorize the declining world. 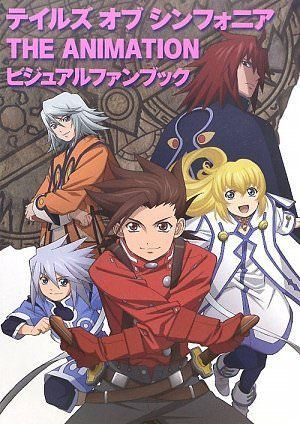 Story: It takes place two years after Tales of Symphonia in the now united world. It follows the story of Emil and Marta, who must awaken the centurion cores to awaken Ratatosk, the original spirit of the Great Tree. Setting: The world is now united and is now suffering from weather problems and tensions between Sylvarant and Tethe'alla. The organization Vanguard, the spirit Ratatosk, and the Centurions, are all newly introduced elements. 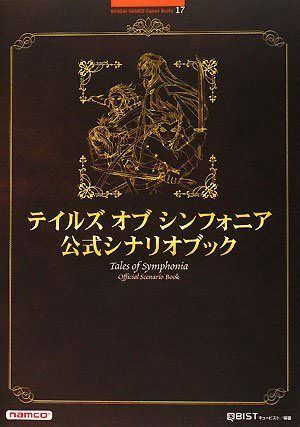 Contents: Gameplay guide and data, setting and character descriptions, illustrations, comments, glossary. Interest: The settings description and the glossary. 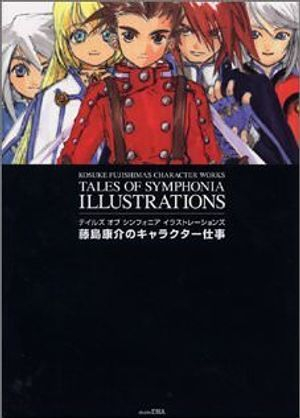 Note: This Perfect Guide contains information about both Symphonia and Dawn. Interest: Useful for checking something from the script directly. The explanations. Contents: Illustrations, designers interviews and comments. Interest: Interesting information about the characters designing process. 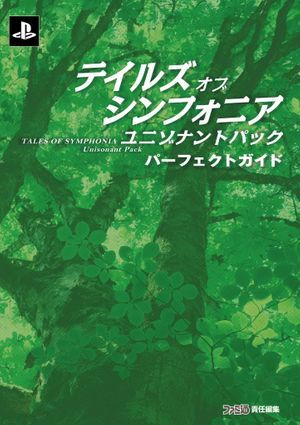 Contents: Illustrations, Sylvarant Arc episode descriptions, interviews. Interest: Good to understand the anime creation process. Contents: Illustrations, Tethe'alla Arc episode descriptions, setting and character descriptions, interviews.